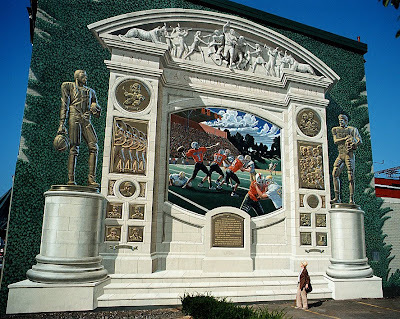 I grew up in northern Ohio, and every time I go back to visit it seems like there is another architectural mural by designer and illustrator Eric Grohe. The paintings are really impressive and completely unexpected. Most are located in smaller communities and towns where you just wouldn’t expect to find murals of this size and quality.